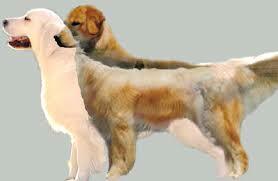 Exquisite Breeder of AKC English Golden Retriever Puppies. Our dogs are first and foremost treasured family members, raised in the home, sleep in our bed, travel with us and part of our everyday living. Our dogs and puppies are never kenneled or left outside. They have phenomenal pedigrees with International, National, and World champions within their linage, premier show quality, and direct imports from some of the finest kennels in Europe. I have been breeding Goldens for over 28 years and have an excellent and outstanding reputation. We have donated numerous previous puppies to Canine Companions for Independence, Minnesota Helping Paws, and Can Do Canine to be Service and Therapy Dogs. I strive to produce puppies that excel in health, temperament, beauty, intelligence, are structurally sound, and adhere to AKC standards. Our puppies are always raised in our home, are part of our family to implement early bonding, socialization, early neurological stimulation, obedience, and are potty trained to go outside when they leave to their forever homes. I put forth a tremendous amount of time and effort into rearing and raising each puppy and their parents: in regards to the best nutrition by providing only premium foods: Orijen Dog Food, additional supplements: NuVet Plus, Kelp, Turmeric, Kale, Bee Pollen, Joint Supplements, Cranberry, Salmon and Coconut oils, organic fresh fruits, vegetables, meats and fish, their health care/preventive medications and training. In turn, they will be a part of our family and your family for many, many, many years to come. Our parents have all health clearances and DNA testing for Golden Retrievers completed: OFA Hips, Elbows, Heart, Eyes, Thyroid, Dentition, PRA-PRCD, PRA 1, PRA 2, Ichthyosis, Degenerative Myelopathy, Muscular Dystrophy, Dystrophic Epidermolysis Bullosa, Osteogenesis Imperfecta, Sensory Ataxic Neuropathy, Patella, and PennHip: with all clearances normal and clear of any genetic diseases or problems. Our parents are always eager to please, very affectionate, show quality beauty, structurally sound and extremely healthy. They are highly intelligent with calm, loyal, and mellow personalities, yet always ready for a game of fetch, frisbee, or a swim in the lake. Anytime of the day, you can always find one, two, or all of the dogs napping on our bed or under our feet as we work. Our dogs exemplify, why a golden retriever is a great pet and wonderful family member and their mild manners and delicate dispositions are always displayed onto their offspring. Our main focus and goal in breeding is on "the Quality not the Quantity " of puppies produced each year. Puppies are always micro-chipped, dewclaws removed, wormed, vaccines, complete veterinary exams, socialized with children, early neurological stimulation, daily tactile and sensory stimulations, many car rides/outings, temperament tested, two year health guarantee, lifetime breeder support, potty trained,and a spacious puppy package that is valued over $400 . Due to the high demand and limited number of litters each year, early reservations are always recommended. Our puppies are ALWAYS reserved before they are conceived, usually 1 year in advance. References always provided upon request. Sold with limited AKC registration and ONLY to approved homes and buyers. "I am currently updating my website and apologize in advance for not having updated pictures and information."